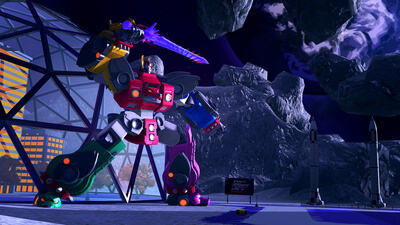 Up to four players can hit the greens, cities, mountains, and orbiting moons that comprise the Robot Golf Tour Circuit. Either split-screen or online, robot golf pilots can play frantic real-time destruction golf, classic turn based action, or even custom rulesets crafted for your own custom 100ft Robot Golf round. As well as allowing you to destroy any obstacle in your way, 100ft Robot Golf also gives you full control in how you enact your golfing mayhem. Select from a lineup of pilots* and robots spanning a wide range of playstyles and abilities. Want to put your own personal spin on your robot? Jump into the customization hangar and create a unique build to show off online! 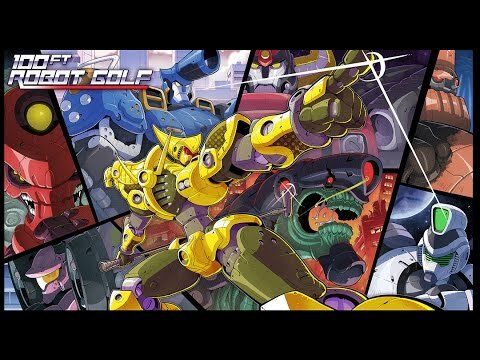 100ft Robot Golf lives up to the hilarity of its premise in every way, except when it has to be a golf game. I feel bad about panning a game that I adore in principle -- it’s scrappy and unabashedly enthusiastic, which historically has been my jam -- so let me close by saying I appreciate where No Goblin is coming from. 100ft Robot Golf the idea is commendable, but 100ft Robot Golf the video game is a lot harder to appreciate. If you fancy a golf game as far away from simulation as possible then this is most definitely for you. It isn’t the smartest or the sharpest game on the market, but it still grabs you despite its flaws. 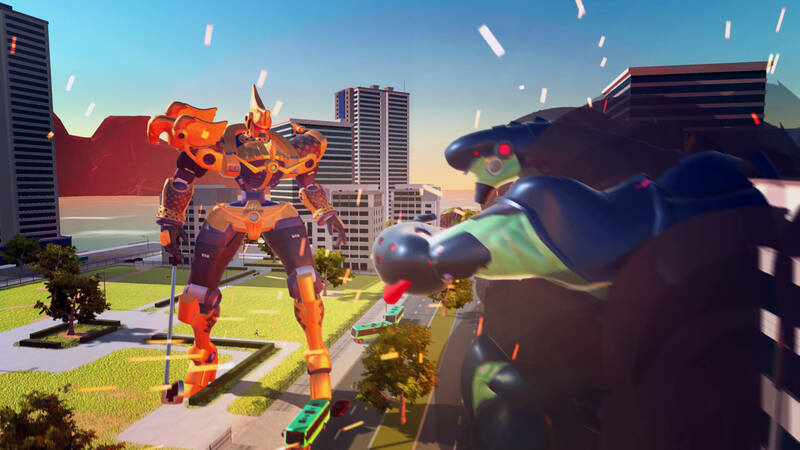 A decent party game that's fun with friends, 100ft Robot Golf is bonkers. 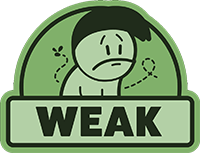 It's not always fun though, with slow robots, poor VR support and short play time.